Here is some great advice from Leah Ann Childers who has just completed her first year as a principal. I follow her blog, “Newbie Principal” and have enjoyed reading her posts this year. As any excellent teacher and leader she has reflected on her experiences related to making changes, disseminating information, supporting teachers and maintaining positive relationships. I found this particular post, written at the end of the year, an interesting read, I hope you do too. Doing the Impossible on a Daily Basis. I’m so glad I’m on holidays myself. When I’m done moving house, I will fill you in on the latest news from my classroom and my school. Most teachers became teachers so they could work with children. Some really crazy people became teachers so they could work with teenagers! Whether we like it or not, all teachers have to work with other adults (not just teachers!) in the course of our daily duties. If you are a teacher, think about your day from the moment you enter the school gate. How many people do you talk to in that trek from the gate to your classroom? How many of them are children? While it is possible to get from the gate to your classroom without making eye contact, you will probably be a very lonely and ineffective teacher if you make it a habit. School communities are made up of plenty of grown ups: there are parents, cleaners, janitors (our school has three! ), teacher aides, office staff, the principal, the deputy principal, the digital coach, the numeracy coach and the teacher librarian. 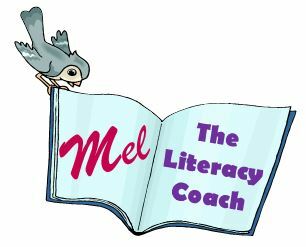 We mustn’t forget the Literacy Coach, the reading teacher, the learning support teacher, the special education teacher and the specialist teachers (they can be a real handful, which I can say because I have worked in all of those roles). Angela Watson from The Cornerstone has posted 5 things she wishes she knew as a beginning teacher about working with adults. She was right on the money with her advice and I found myself nodding as I read her tips and explanations. Get clicking and check it out.